Don't ever get dishearten if things don't seem to work your way. 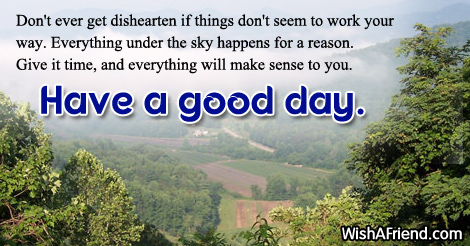 Everything under the sky happens for a reason. Give it time, and everything will make sense to you. Have a good day.